Join the discussion on our forums! 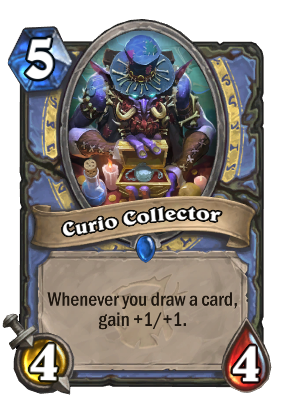 Come discuss Curio Collector over in our dedicated Curio Collector discussion topic. Whenever you draw a card, gain +1/+1. Experts worry that curios are a gateway to face-collecting. Gilnean Gazette always gets the scoop. Lay this, and then next turn play Myra's Unstable Element,=GG. This could work in a new Aluenth build. Not sure how viable, mostly theory. I would've never thought, that I need to think twice to judge a card like this one. Looks cool. 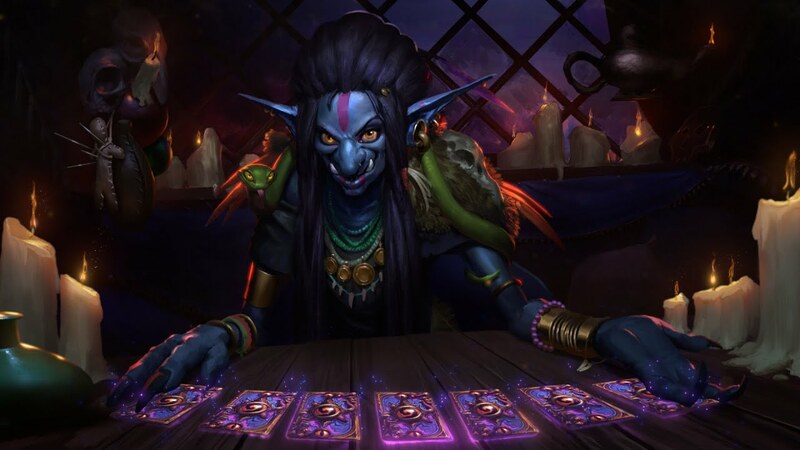 Maybe I'll try a mage deck again? Book of Specters might get out of control here. Also legendary weapon. Looks fun. Or you could just, I don't know... Equip it the turn before? This feels a bit random but could work interestingly. Bit late for the miniature warfare brawl though.